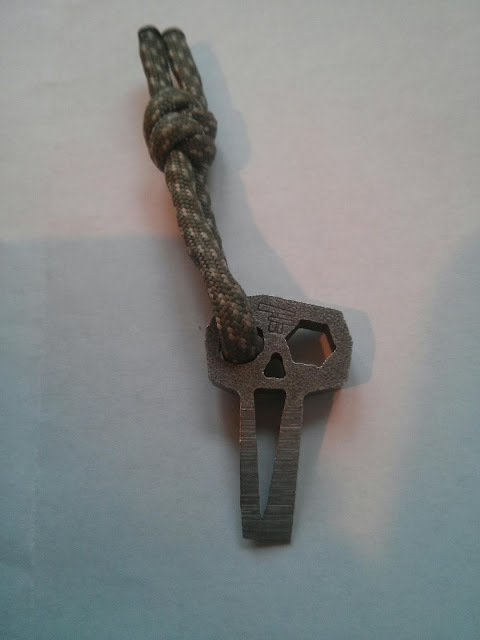 TT Pocket Tools design and manufacture keychain tools, that are meant to be carried every day. Here I have the Skull Gen1. 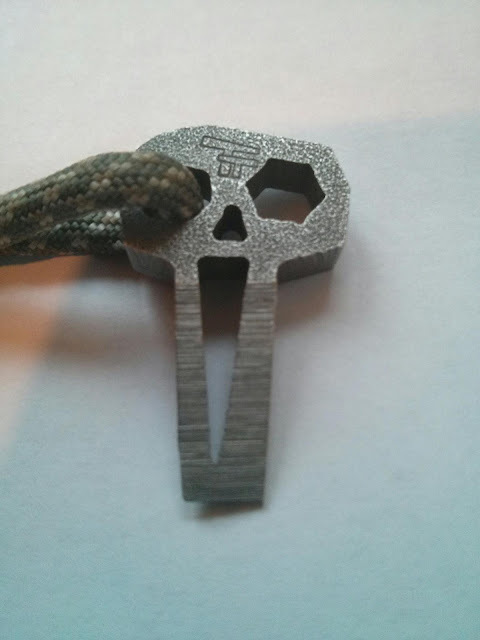 The Skull Gen1 is made from 3/16", heat treated S30V Stainless Steel. Over a few weeks of testing, the tool still looks like it's just come out of the box. It hasn't been damaged at all. This tool is made too last. It is also stone washed, which gives it a nice and cool design. Probably the first tool you've realised that's on this tool is the pry bar. The pry bar also doubles as a medium/large flat head screwdriver. Over the last few weeks, I've relied on the TT Skull to loosen/tighten screws, and do a few other jobs. An optional extra that is situated on the edge of the pry bar is the box cutter. There is a very small sharp edge there, that is meant to be used for opening boxes. At first, I thought that the edge was way too small to be of any use, but to my surprize, it actually opens boxes really well. 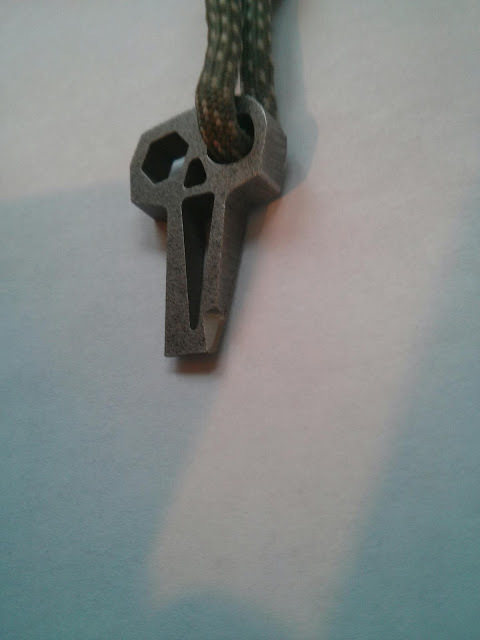 This is probably the most used tool on the Skull that I've used. There is a notch in the pry bar which can be used as a wire stripper/gripper. I had trouble stripping wires, but if you ever want to cut some wire or rope, it does the job fairly well. Out of the 2 eyes that the Skull has, only one is actually a tool. The eye can be used as a 1/4" hex bit driver. On my tool, the cut out was a perfect size, and the hex bits fitted perfectly. The other eye is used to attach a lanyard, so it can be mounted onto anything you want. For its extremely small size, 1-1/2" long, and 7/8" wide, it has a lot of tools, and most people will find the majority of these useful. Despite its small size, it is very comfortable to use as a tool. I will be carrying this tool on my keychain for years to come, unless I find another tool which has more tools in a smaller package.